Feature-rich cloud communications for companies and budgets of every size. FFB Services Hosted VoIP provides more functionality then traditional phone systems without the added costs of managing and maintaining a traditional phone system. Hosted voice delivers powerful calling and mobility features that enables employees, groups and entire organizations to streamline how they communicate. Check out our Savings Calculator to see just how much you could be saving! 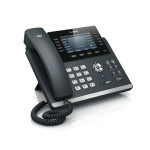 With hosted voice, you can choose from a wide selection of phones available for lease or purchase. We also support over 50 calling features to help your business stay competitive, with the ability to have local numbers in the markets you service including international, 8XX numbers and custom 8XX numbers. FFB Services can also provide you with Microsoft Dynamics NAV and .NET consulting services. Contact us at consulting@ffbservices.com for more information about our consulting services. Are you ready to expand your business, save costs and reach more people?